Dogs straying into sheep fields can do untold harm and stress to sheep. 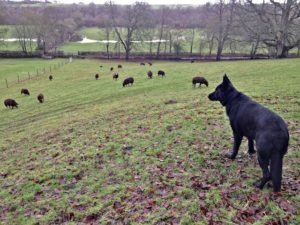 We have had a series of incidents over the years of dogs killing sheep in the area which I farm. 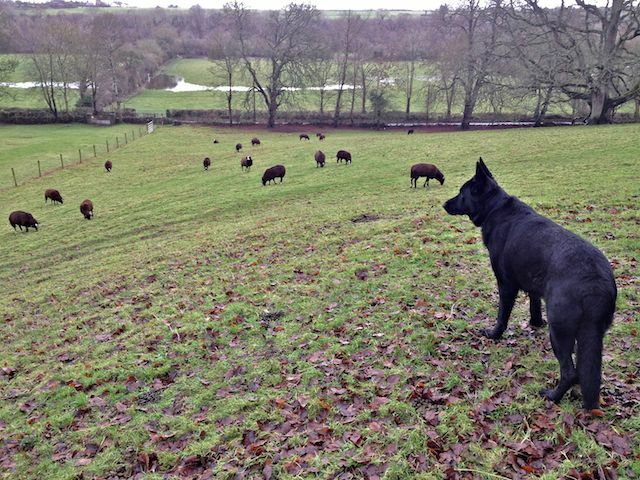 Only last year within a 2 mile radius of our farm 3 different flocks had sheep killed by “sweet harmless” pet dogs. 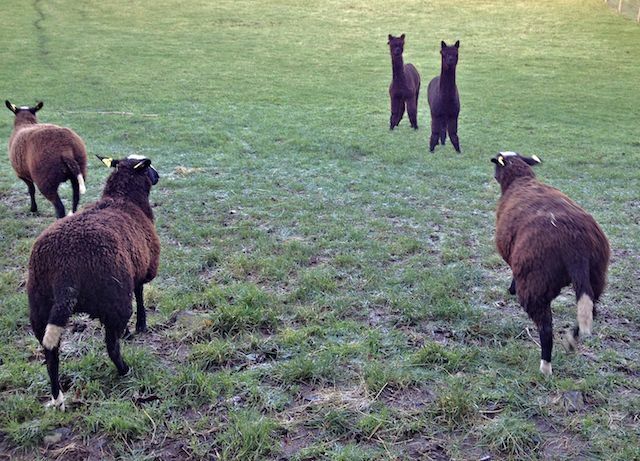 Only one farmer was at hand when the dogs were killing his sheep. 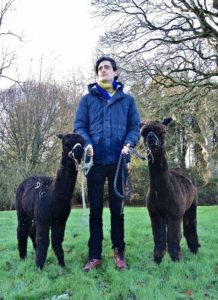 He was able to shoot and kill the dogs in the act of killing. 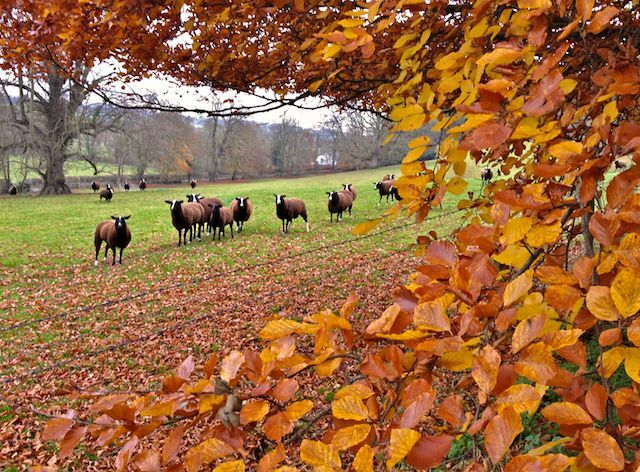 Any sheep farmer in Ireland is legally allowed to kill any dog that even just walks through a field of his sheep. These are not wild or stray dogs who are hungry, but peoples pets whose instincts have kicked in to go hunting. 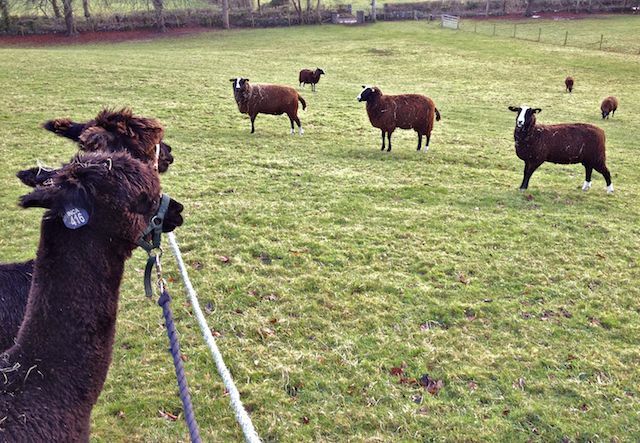 Sheep do the right thing to enhance this instinct by running from the dogs. So the chase is on and the wild ancestral blood starts pumping through the dogs veins encouraging it’s wolf heritage to leap to the fore. 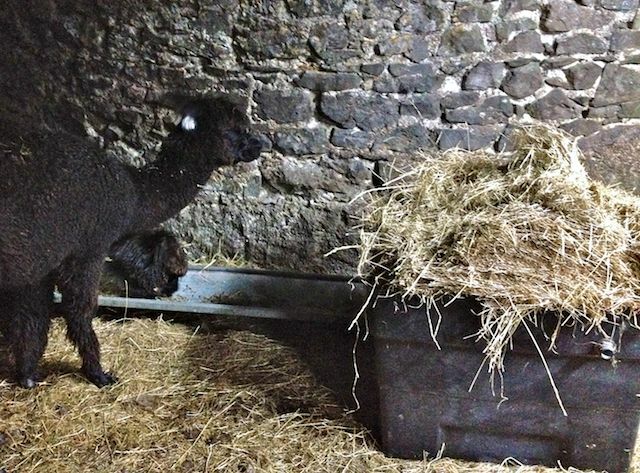 It wants to go in for the kill and finish off its pray; the harmless, pregnant, sheep or lambs. 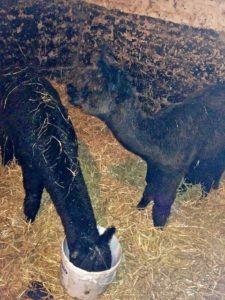 The remaining sheep can be so traumatized by the event they abort their lambs or are never any good for breeding from again as they don’t regain their nerve and are very difficult to work with as they stress so easily. 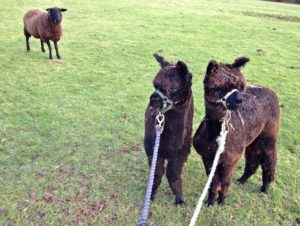 A farmer friend recently told me of coming across owners watching their little Yorkshire terrier running after a flock of his sheep, laughing at their tiny dog reeking havoc in amongst the heavily pregnant ewes. 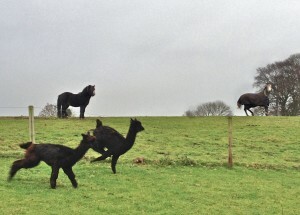 I have edited down this brief incident as the altercation got very heated and the language used shouldn’t be printed. 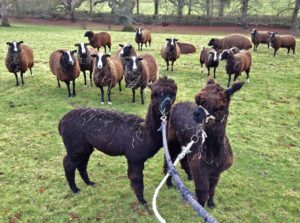 Just to show that the size of the dog doesn’t matter as stress is not related to size but a panic that sets in so that sheep can and will squeeze the life out of each other in a corner of a field by piling up on top of each other due to their flocking instinct. It was due to these increasing dog kills in the area that I thought about how to protect my small flock of Zwartbles sheep. 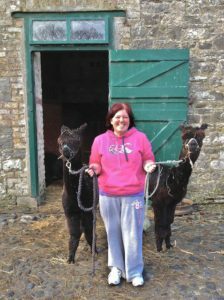 I would be absolutely devastated if dogs got in and killed any of my flock. 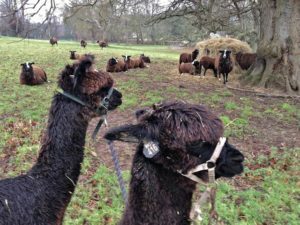 I started off with only 4 Zwartbles sheep and as the flock has slowly increased with time and because the flock is so small I know each sheep and most by their given name. There are 3 ways to protect sheep with out me being in the fields 24/7. One is a breed of dog that lives in the fields & protects the sheep, but that would mean feeding it differently to the sheep and housing it in the field. 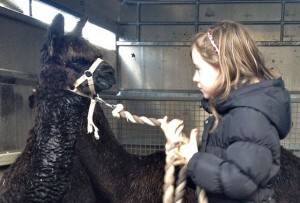 The second would be to get a Llama but they are big and can be quite nasty. 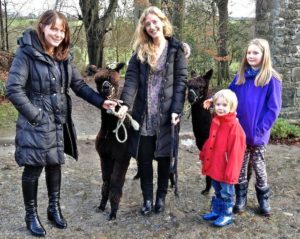 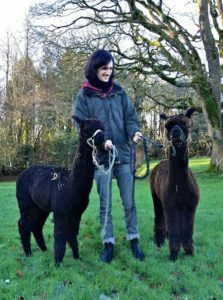 The third option was Alpaca also from South America and belong to the Camelid family, they are a smaller gentler version of the Llama. I got in touch with Hushabye Farm in the foot hills of the Slieve Bloom Mountains over in Co. Offaly. 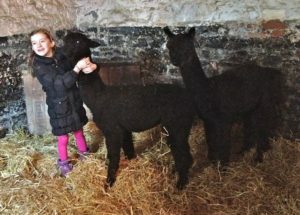 I went on a farm visit a few months ago to look at their animals and to see if they had any black ones. Alpaca come in many different colors but I thought black ones would look very good amongst the Zwartbles sheep and their fiber would make a very nice blend with Zwartbles yarn if I were to do anything with the Alpaca fleece. The Alpaca arrived here just after Christmas before the New Year. 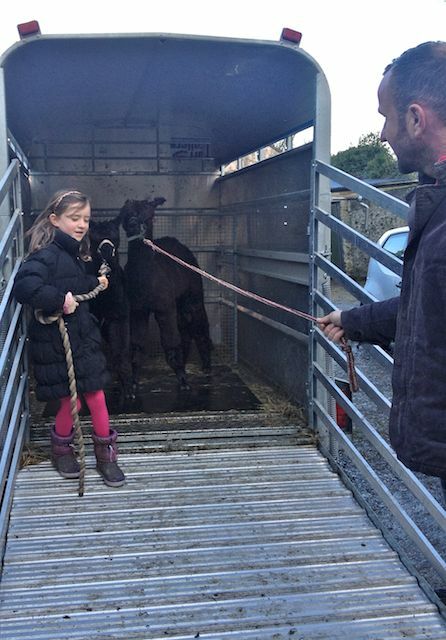 Paul and his daughter wanted to start them out on their halter training before they came to me. 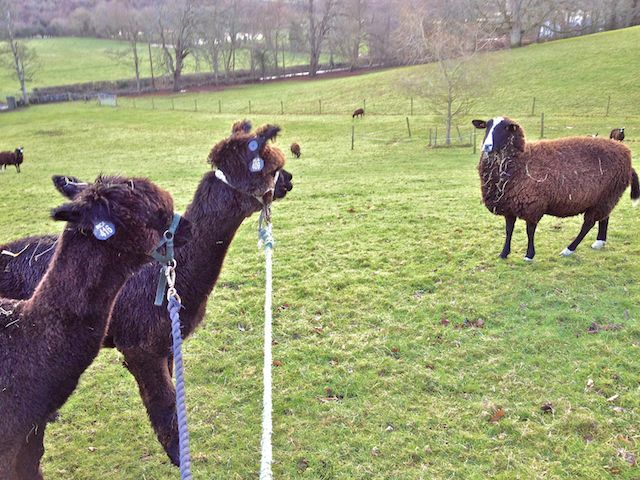 I was going to continue this training at first with twice daily halter leading sessions then once a day. 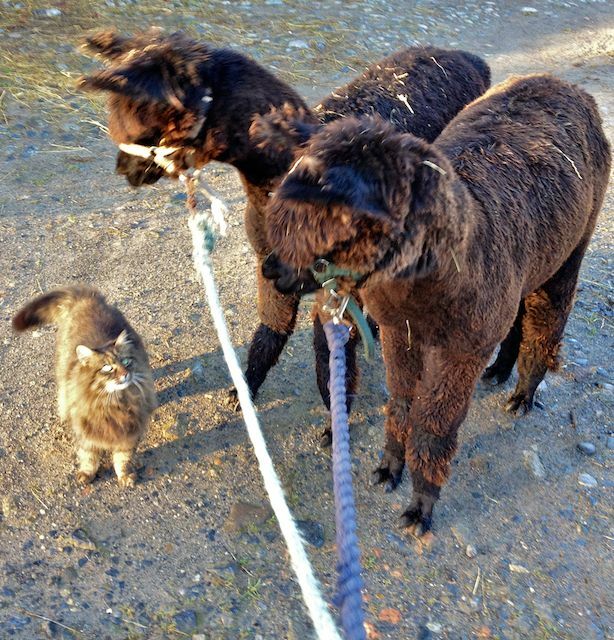 It is better to do short sessions first so they got used to me and the new place. 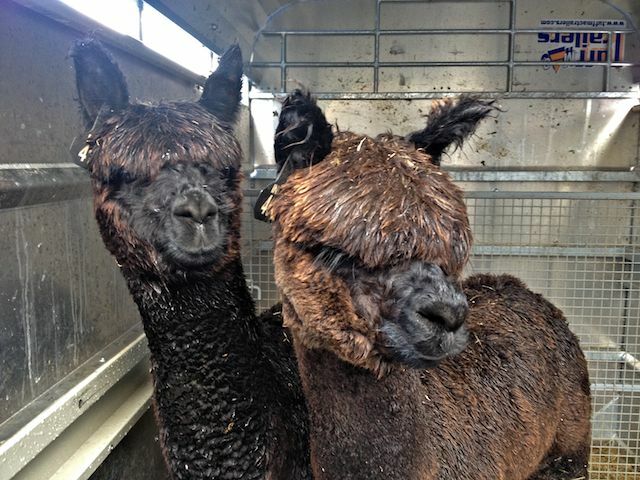 Alpaca are very timid when they don’t know you so I had them put into a stable for the first 10 days so that it would be easy for them to settle in and for me to catch them in a confine space for halter training. The first steps to get to know each other is to feed them so I would bring them sheep nuts which they could crunch away and get fond of so they would start looking for them from me. 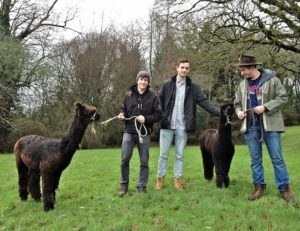 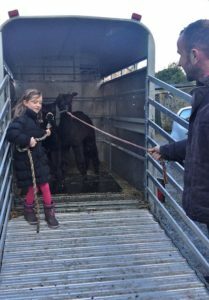 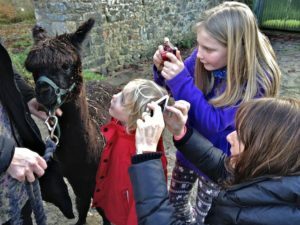 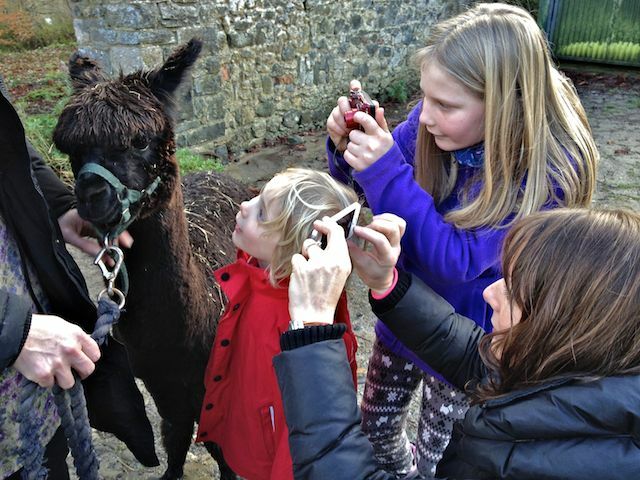 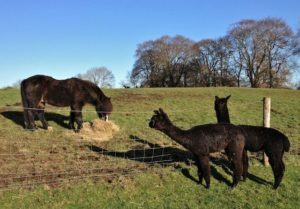 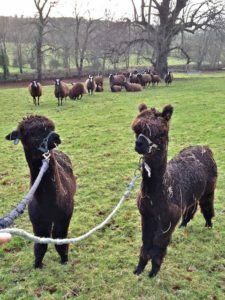 Taking the time now to train the Alpaca will save loads of time down the road when dealing with the sheep and trying to separate the Alpaca from the flock. 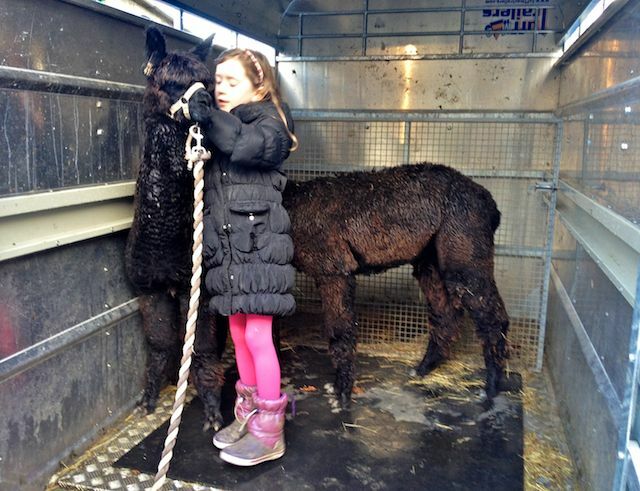 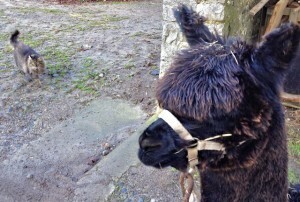 If the Alpaca know and trust me then they will be easy to handle for dosing, hoof care, teeth care and shearing. The other side of training the Alpaca was getting them used to other people which was easy as we had many volunteers over the Christmas, New Year holiday time. 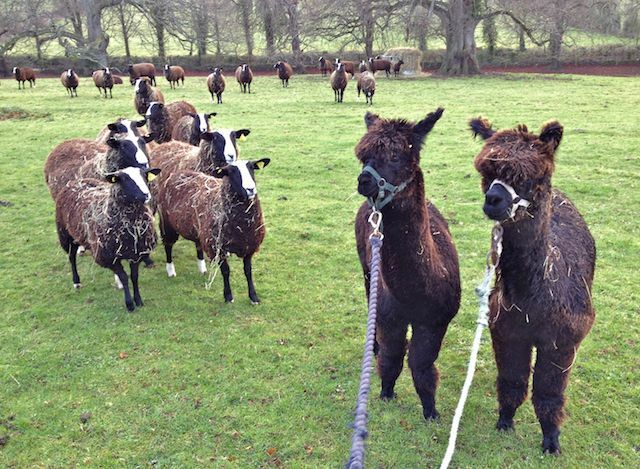 All of this extra training and getting used to loads of new people was very good for them, if a bit unnerveing but they handled it all very well. 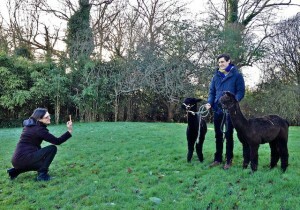 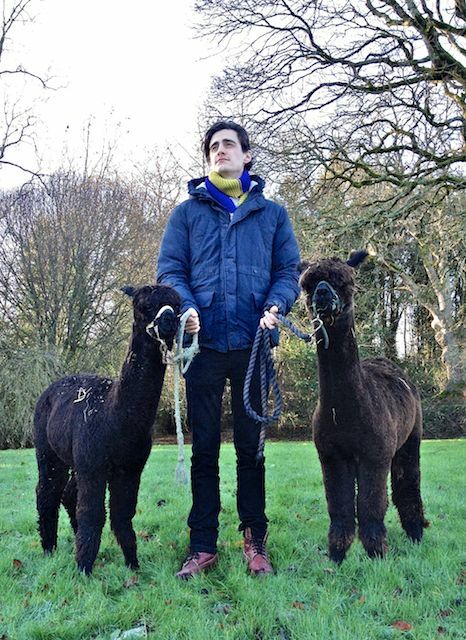 I was still walking out with them every day and started getting them used to the sheep who had never seen Alpaca. I didn’t want to let the Alpaca loose with the sheep as Alpaca can give a mighty kick so this would not be a good thing to happen to a pregnant ewe. 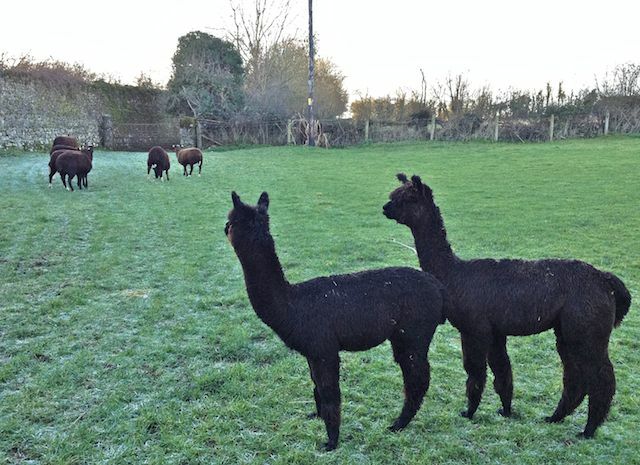 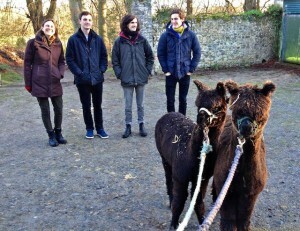 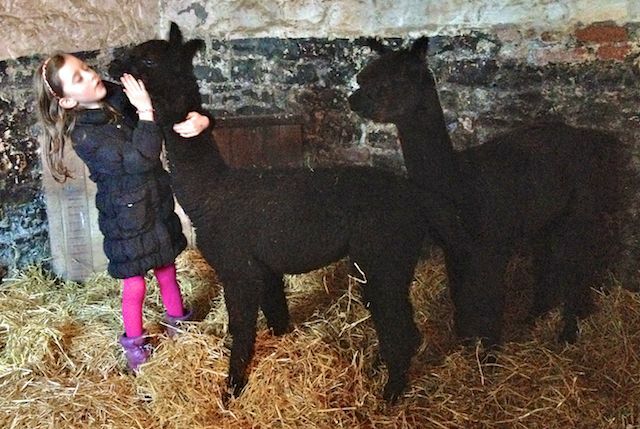 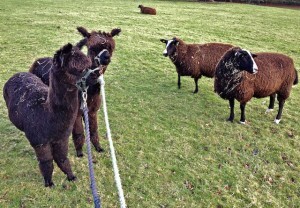 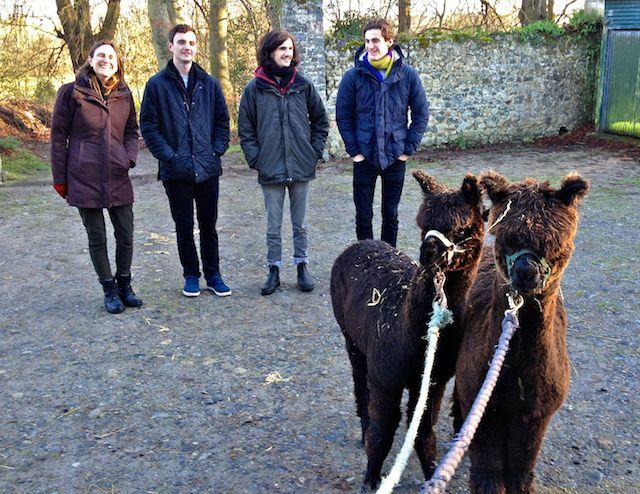 After a few visits the Zwartbles started getting used to the Alpaca boys visits. Then it was time to let the boys out into a small paddock. 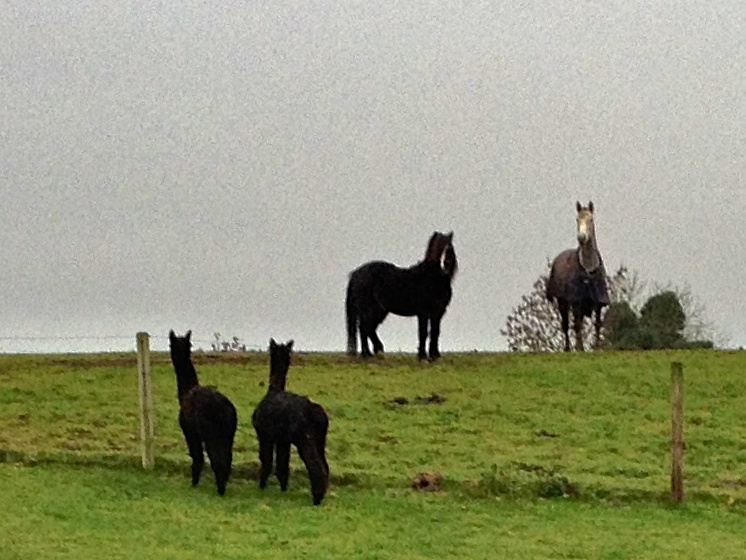 Marco Polo just stands while everyone else runs about in madness. A few days later I had to bring all the sheep in to separate out pregnant ewes from ewe lambs as the scanner man was coming so the Alpaca boys would meet some sheep on their own turf. 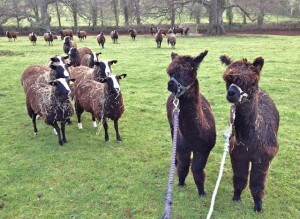 Ewe lambs meet the Alpaca boys for the first time without me in the middle. 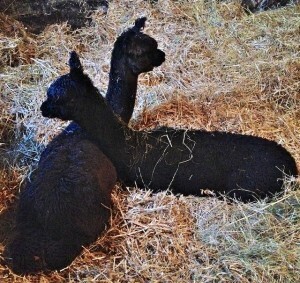 Finally I have to think of new names for these two boys. 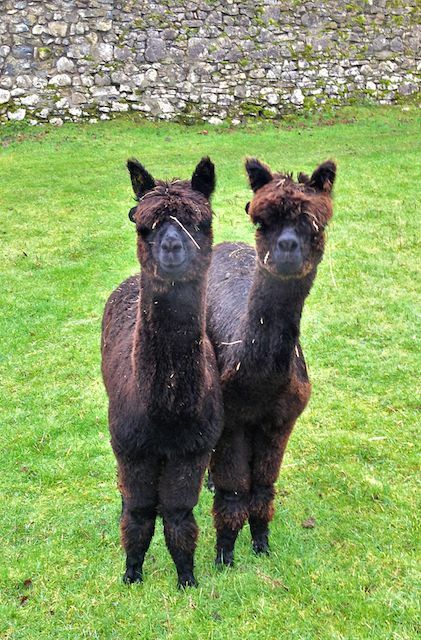 I would like the names to come from their ancestral home of Peru of Inca origin. 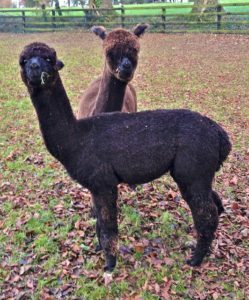 Inti is the younger blacker more timid of these two boys his name means Sun God-Giver of Life. Punchau is the older bigger bolder boy, he is called after the Warrior Sun God whose weapon is darts. 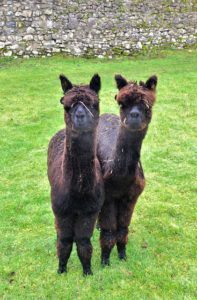 So between these two boys Inti and Punchau I hope they use their dart like legs to kick any dogs who try to come into our fields harassing my sheep. 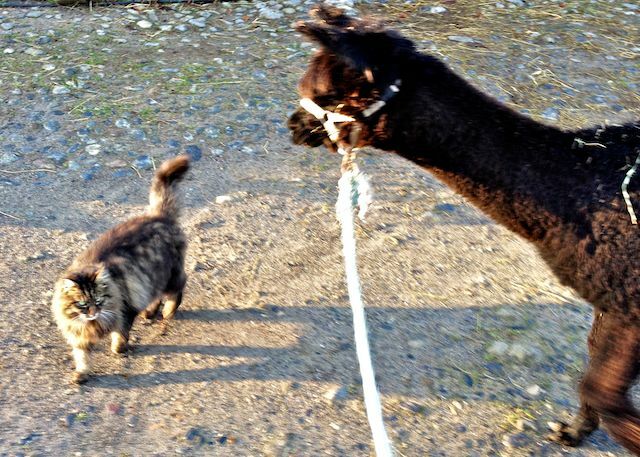 When they were getting used to my own dogs they gave Pepper a belting kick which none of us saw coming. So their aim and ability to give a dog a good kick has already been witnessed from behind or with a forward stabbing action from the front legs. 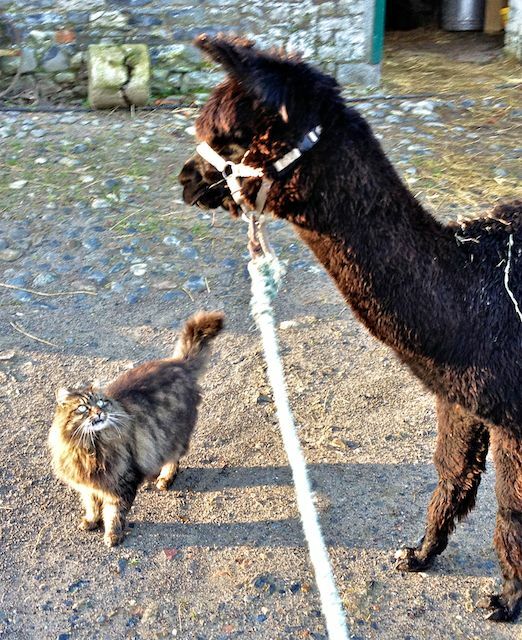 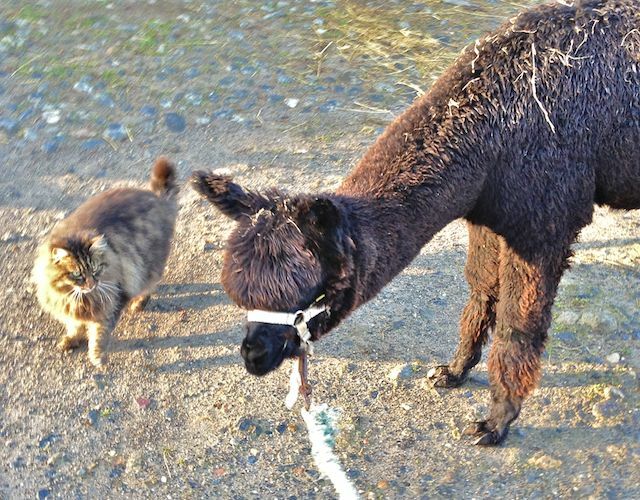 Last but not least the Alpaca had to meet the real farm boss Bodacious the Cat Shepherd. 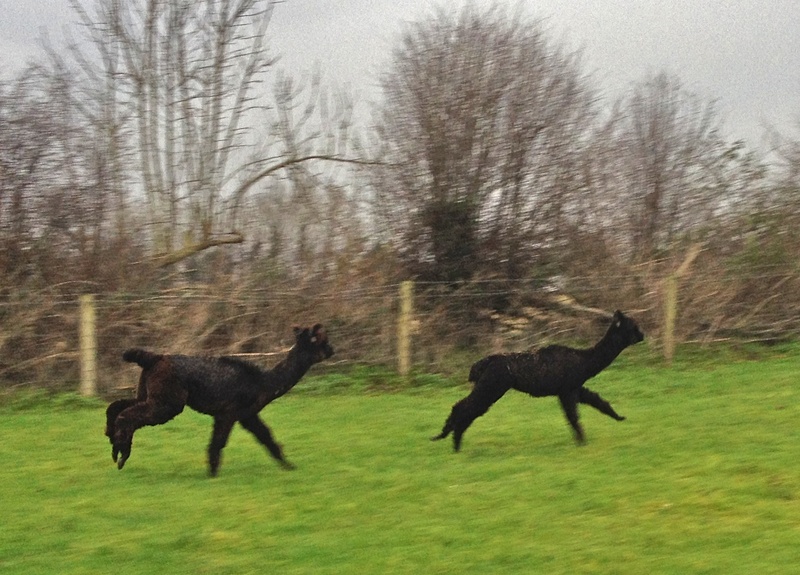 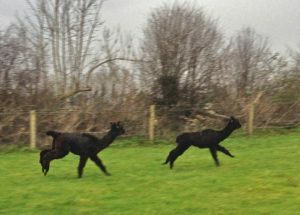 Coming into the yard one day after a halter training exercise Bodacious meets us and gives the Alpaca the once over. 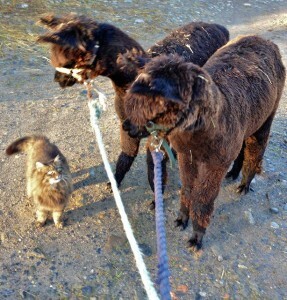 Seriously lads I’m the Boss so no messing Alpaca or not this is Cat Shepherd rule on this farm!! 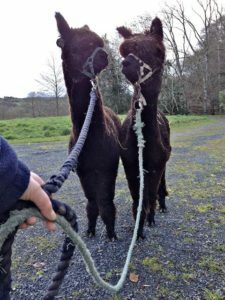 4 Responses to Why Alpaca? 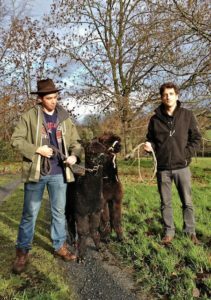 To Help Protect Sheep from Dog Attack!